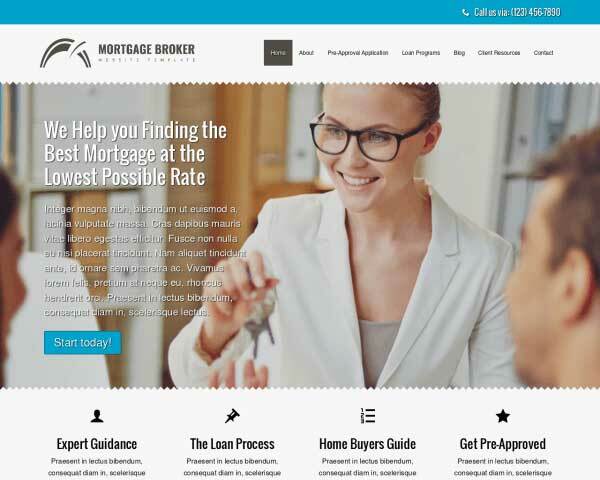 The website is like your very own 24/7 sales representative, so shouldn't you make the best of it? 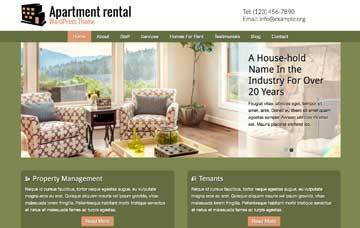 With the Apartment Rental WordPress Theme, it's easy to maximize your website's potential. To learn more try the template free for three days or visit the demo site today! The online industry is ever growing and your organization should grow with it. Growth nowadays resides in part in having a solid website. 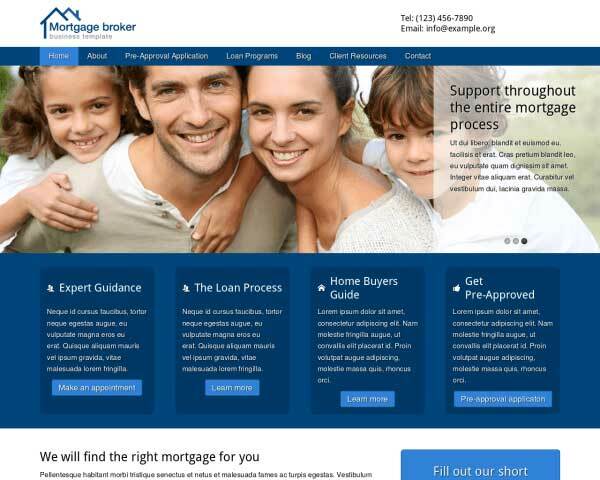 And a quality website answers questions of budget, knowledge necessary and time on hand. 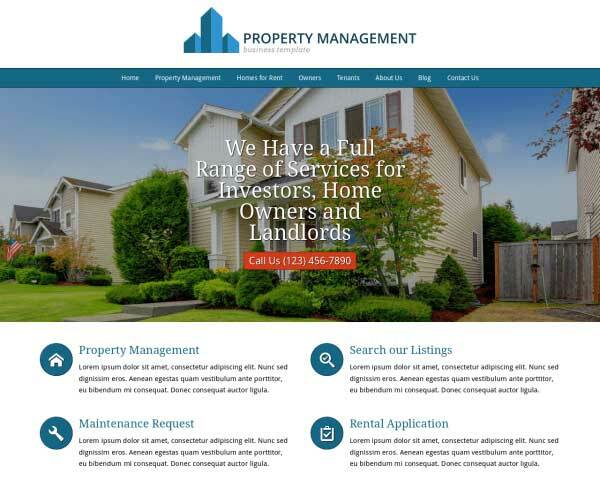 We can do nothing about your time, but we can give your property management business a quality website within budget and for small business owners who've never heard of WordPress in the first place. 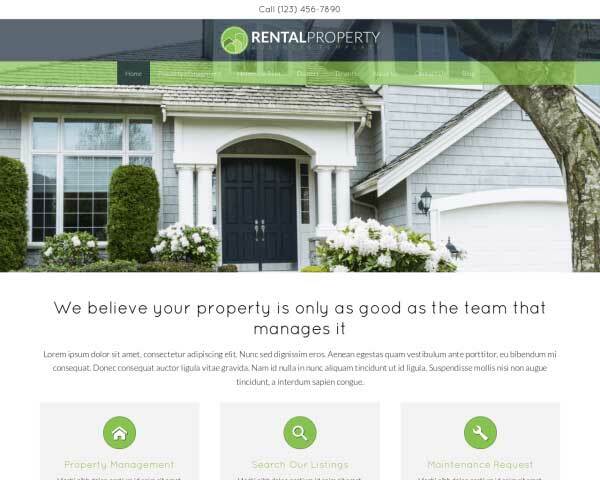 The Apartment Rental WordPress Theme enables professionals in the property management business to set up their own website quickly and efficiently. And with all the necessary features every property management individual would want. Behind the screens our powerful front end editor makes maintaining your site a completely different experience than standard WordPress themes and we pride ourselves on giving the excellent support you might need in case of getting stuck. 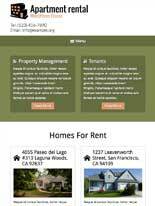 Present visitors with a quick overview of your services on the homepage of the Apartment Rental WordPress Theme, allowing them to navigate directly to that page with one click. 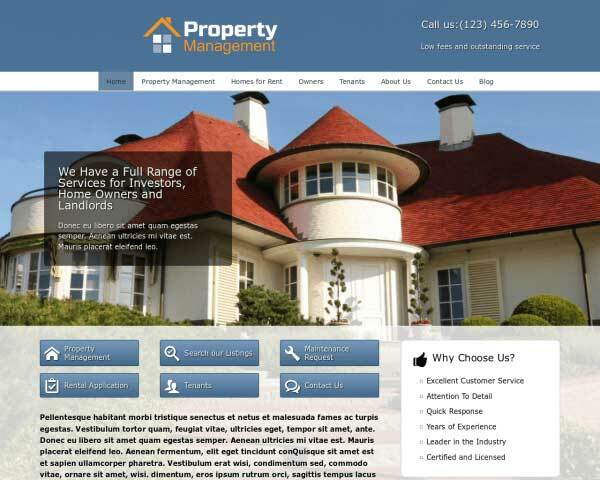 This WordPress theme for estate managers allows you to list available properties in an overview as well as individual pages with more info like descriptions, photo galleries, and Google maps. Help new customers make up their minds by sharing reviews from existing clients. 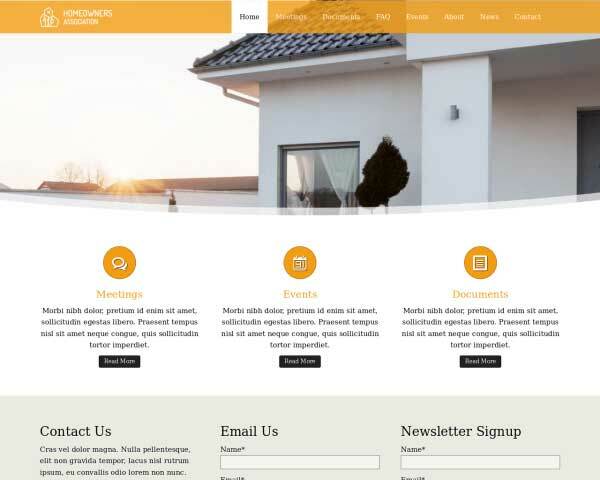 Just replace the text and the Apartment Rental WordPress Theme will style your quotes in this format. Included with the Apartment Rental WordPress Theme are icons for the most popular social media platforms, allowing visitors to simply click to follow you online or share your content on their pages. 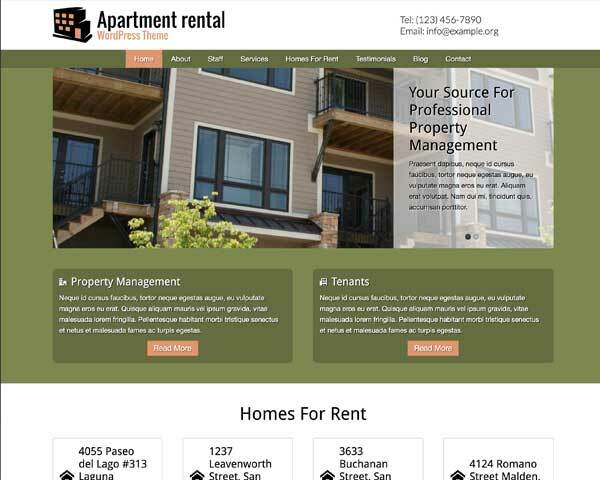 Like all of our themes, this Apartment Rental WordPress Theme comes with a blog all set up and ready for your content. The Apartment Rental WordPress Theme's contact page is built with useful features like an integrated Google map, route planner and a contact form that can be customized to suit your needs. 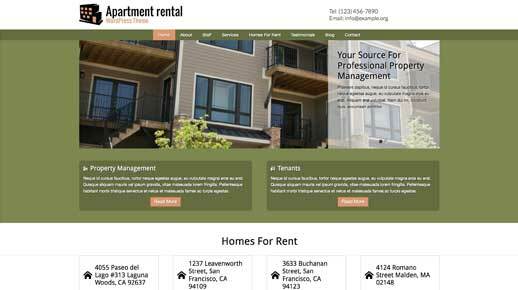 Showcase your team's experience and accomplishments with the Apartment Rental WordPress Theme, which features a handy team overview page. With the responsive Apartment Rental WordPress Theme, you can be sure that visitors accessing your website on smartphones and tablets will be treated to the same professional look and user-friendly functionality of the desktop version. This website template's mobile-optimized design will automatically adjust the layout of your content to fit neatly on any screen size, without any tedious coding or extra plugins required. Mobile visitors will enjoy the added benefit of being able to simply tap on your phone number to dial and get in touch even while on the go.